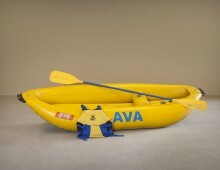 Get on the river today with river gear from Colorado River Rentals. A river or fishing trip is a magical way to spend your time - whether it's a short day trip or an overnight trip. So get out there! Rent stand up paddleboards, inflatable kayaks, rafts, river accessories, or a full overnight gear setup. We rent river gear, boats and equipment from our office in Kremmling, CO near the Upper Colorado River. This scenic section of river is perfect for anything from a half-day fishing trip to several river days and nights. Colorado River Rentals has the gear and equipment rentals to make your river trip happen! We are excited to provide you with great gear for your rafting, fishing, stand up paddle boarding, or kayaking adventures this summer!